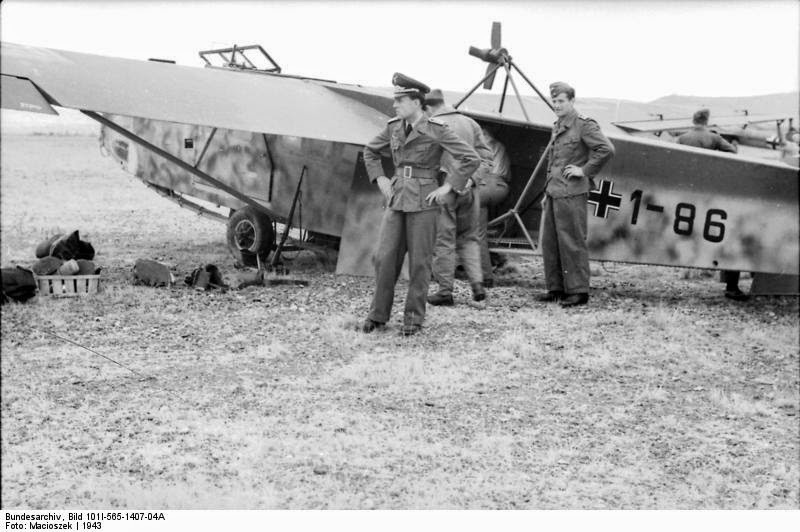 The DPS 230A-1 initial production model made history on 10 May 1940 when the fort of Eben-Emael on the strategic perimeter of the Albert Canal in Belgium was captured in the early hours of the morning with little resistance after a glider-borne party of assault engineers had landed on its roof. 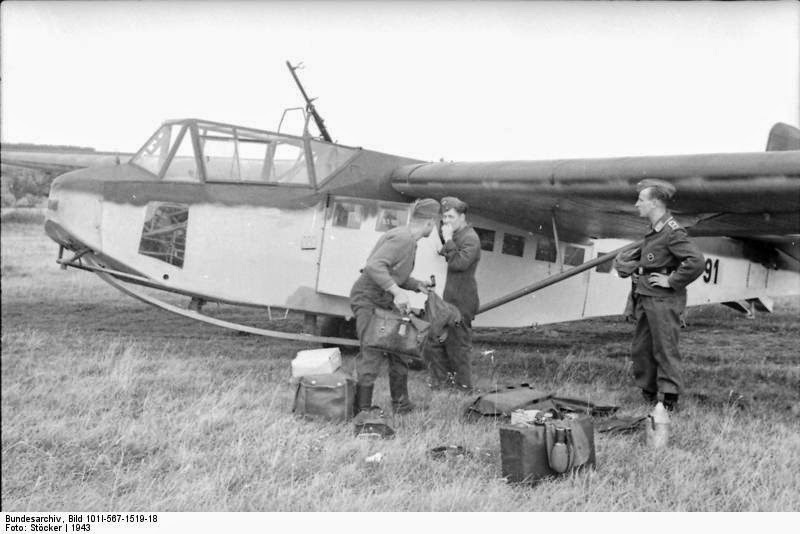 This was the first time in history that gliders had been used in action and the sortie was sufficient to prove that troops delivered to a target in this way had distinct advantages over paratroops; both types shared the common factor of a silent approach, but all the glider-borne troops were concentrated at a single point and wasted no time in linking up. 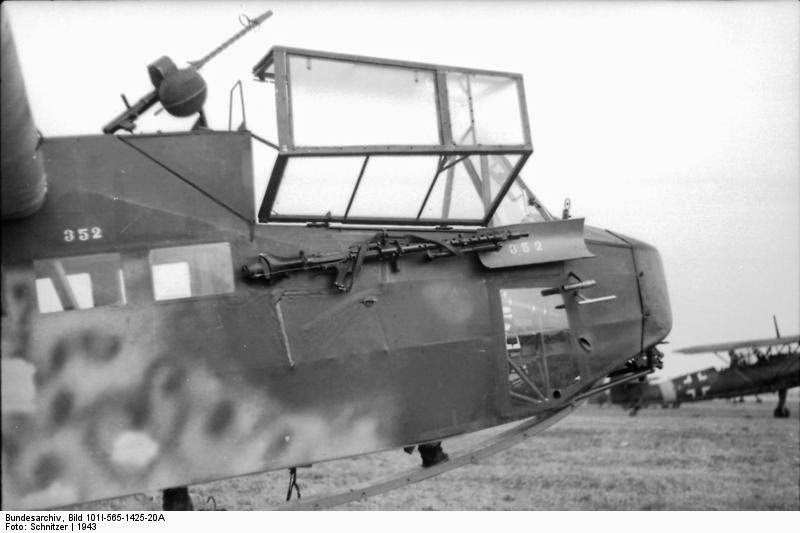 However, the major action in which the DFS 230 was deployed was certainly that carried out exactly a year later when Crete was invaded, the numbers involved being indicated by the fact that the lead group alone was made up of 53 of these aircraft, On the other hand, the losses sustained were such that an operation of this type was never again attempted. One reason for the enormous waste of life and matériel had been the small capacity of the DFS, and reports current at the time spoke of trains of up to six gliders being towed by a single Junkers Ju 52/3m, although the usual number was two or three. The DPS 230B-1 was similar to the DFS 230A-1 but for a braking parachute and provision for defensive armament. 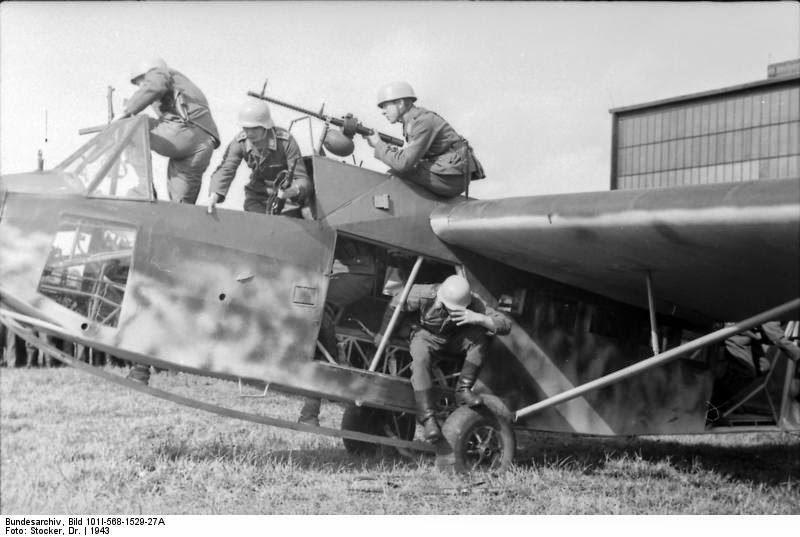 DFS gliders were also used in North Africa, but probably the most interesting operation in which they were involved was the rescue of the imprisoned Mussolini from the Rifugio Hotel, Abruzzi by a party dropped from 12 DFS 230C-1 gliders (each with three braking rockets in the nose), the Italian dictator then being flown out in a Fieseier Storch. A later version, the DFS 230F-1, had a capacity of 15 men but it was not produced in numbers.